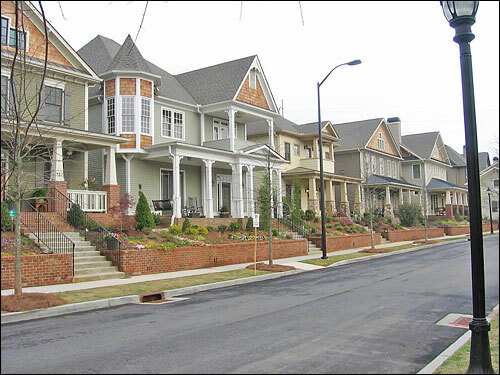 Atlanta Community Offers Amenities of Earlier Age A New Urbanist community in Atlanta is trying to re-create a way of life that has largely disappeared in the age of the automobile. Houses tend to be close together; streets are easy to walk. While often found in the suburbs, neighborhoods like Glenwood Park are increasingly showing up in cities. Internet entrepreneur Charles Brewer founded Glenwood Park, a New Urbanist development in Atlanta. He stands in Brasfield Square, a village green flanked by a coffee shop and what will be retail stores. Parts of Glenwood Park resemble neighborhoods in Boston or Brooklyn. Many evenings, the residents of Atlanta's Glenwood Park get together to walk their dogs and talk. Although most of them have been there just a year or so, a kind of easy sociability defines the place. A sense of community is one of the mantras of the New Urbanist movement of which Glenwood Park is a part. At its core, New Urbanism is a revolt against the growth of suburbanism and draws from a desire to re-create a way of life that has largely disappeared in the age of the automobile. Houses tend to be close together. Streets are easy to walk. And there's a mix of residential, office and retail buildings. Many New Urbanist developments are located in suburbs, but the movement's influence is increasingly showing up in cities like Portland and Denver. Glenwood Park, which has more than 300 townhouses and condominiums, is one of several developments arising near downtown Atlanta. 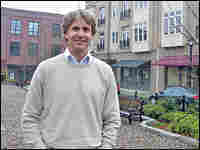 Its founder was Charles Brewer, who also started the Internet company Mindspring. Brewer was on the lookout for a new business opportunity when local architects introduced him to the writings of New Urbanist pioneer Andres Duany. He was hooked. Atlanta -- like many Sun Belt cities -- has a huge problem with traffic congestion and sprawl. 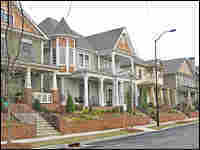 A Georgia Institute of Technology survey indicated that many Atlanta residents craved an alternative to the auto-centered suburb. 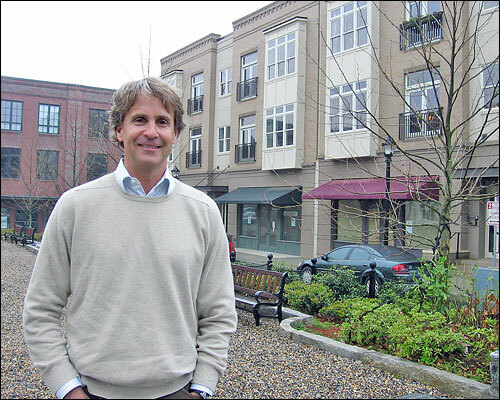 Brewer started Green Street Properties and set to work creating the kind of community he envisioned. He bought a 28-acre former concrete recycling plant near downtown Atlanta -- which eventually became Glenwood Park.